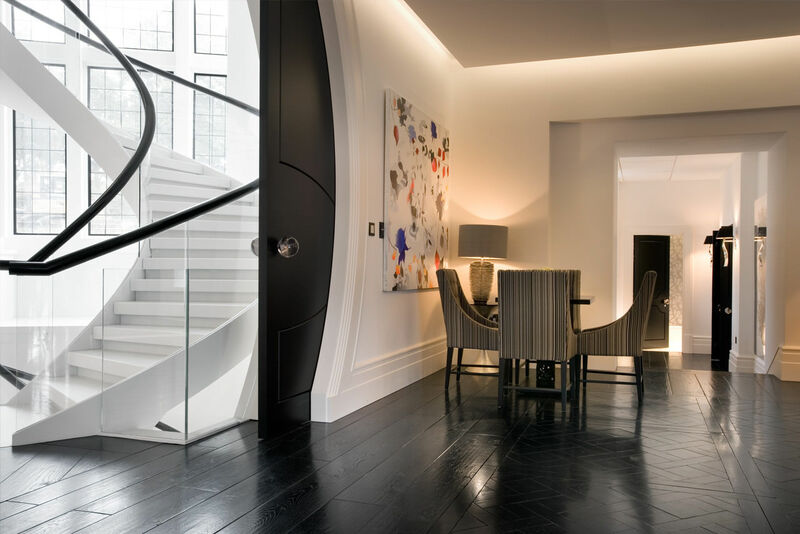 An elegant double flight helical staircase with contrasting handrail and treads featured in a popular TV commercial in this North London residence. 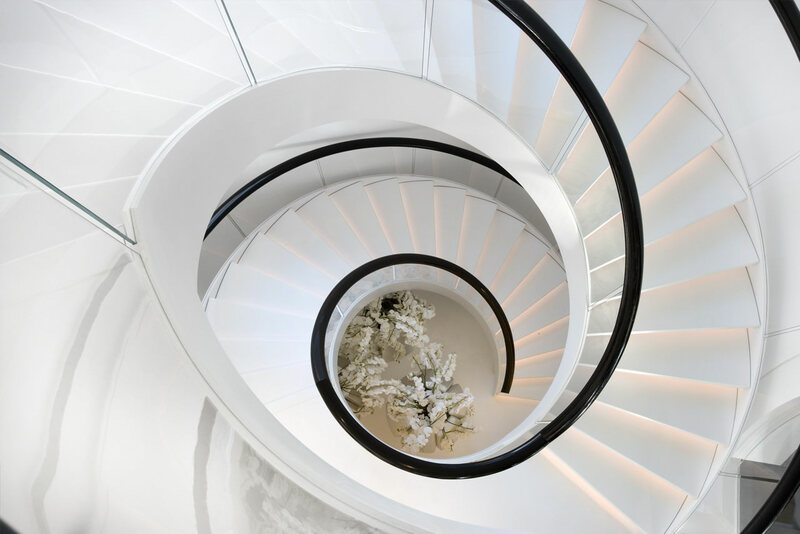 This staircase is constructed in steel that is spray painted white on site, the treads are custom designed and fabricated from solid Corian. 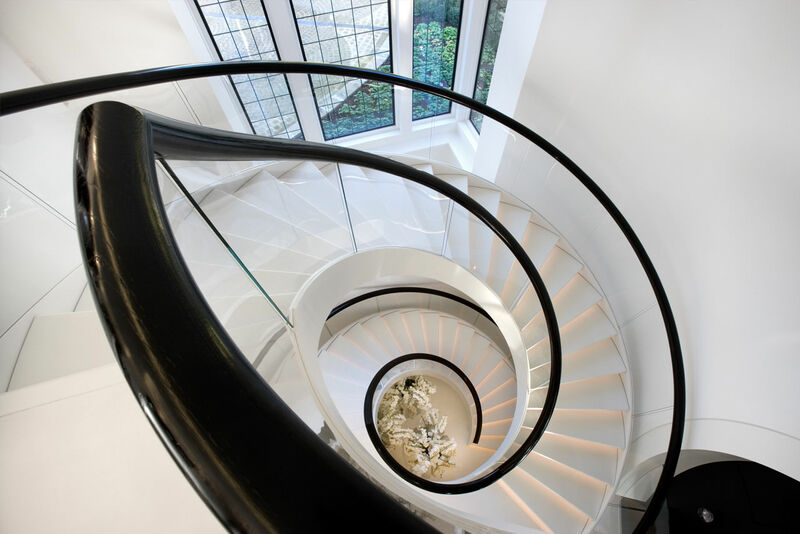 The structural glass balustrade to both sides of the flight is capped off with a custom made elliptical hardwood handrail which has been stained black.